Our flagship event for this semester is a concert featuring Sri Sandip Chatterjee (Santoor), Sri Raman Kalyan (Carnatic Flute), Sri Akshay Anantapadmanabhan (Mridangam), and Sri Subrata Bhattacharya (tabla). Santoor, Flute, Mridungam and Tabla are some of the most popular and prominent instruments of Indian classical music. 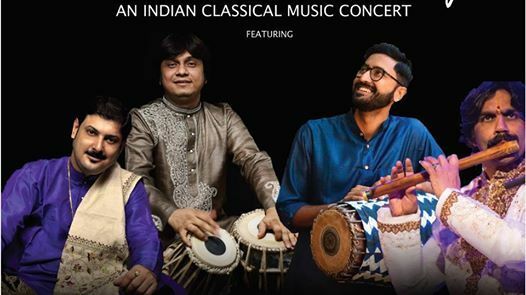 This performance will offer an opportunity to witness a unique blend of Hindustani and Carnatic music. 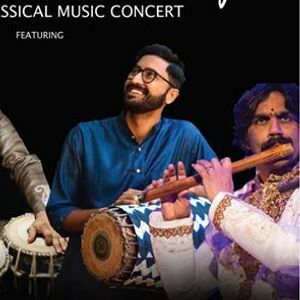 This combination of Hindustani and Carnatic music is extremely challenging, yet beautiful, making the event worthwhile for the music enthusiasts in Cornell and Ithaca!